buried Andersons Bay Cemetery, Dunedin, Block 190, plot 11. 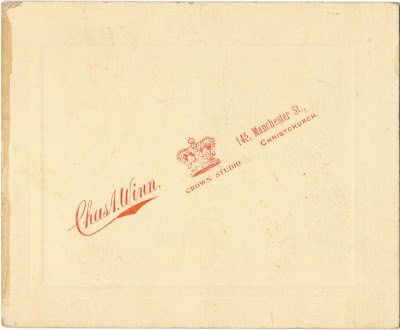 Charles Alfred Winn was the son the photographer Benjamin Winn and his wife Susannah nee Farrants (birth registered Kensington, London June Quarter 1871 vol. 1a page 191 or 194). 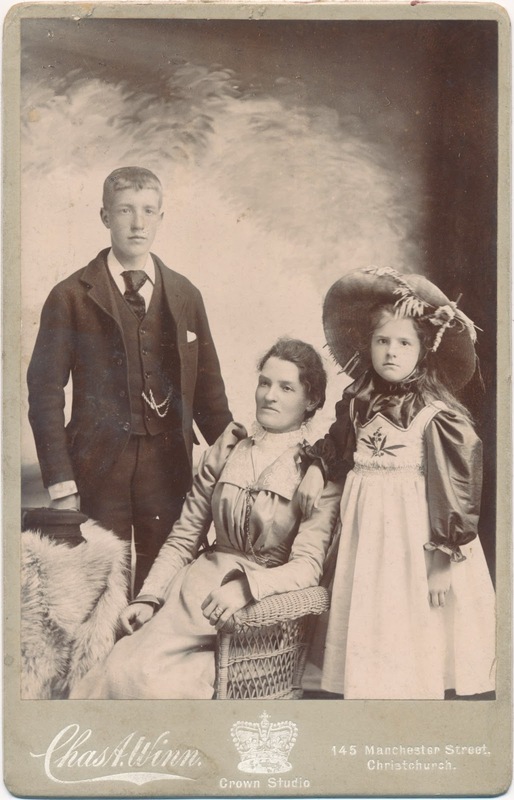 He arrived in New Zealand with his family about 1878-1880. 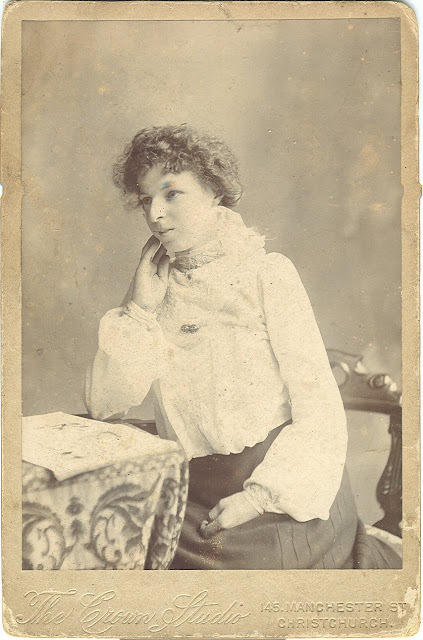 From 1898 he operated a studio at 145 Manchester Street, Christchurch. 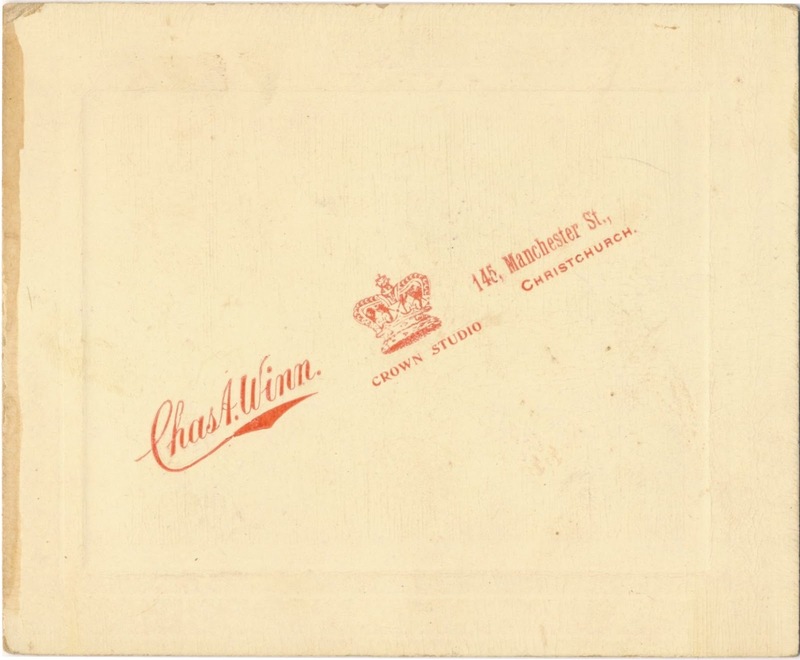 In November 1899 he advertised a silver plated cornet for sale giving his name and address as - C. A. Winn, photographer, 145 Manchester Street. Artistic.— Mr Chas. 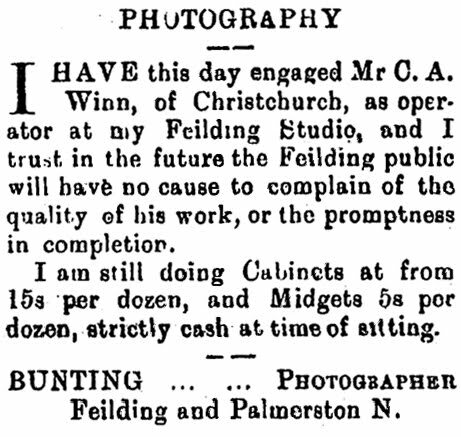 A. Winn has opened business as a photographer in Manchester street, nearly opposite Burkes Hotel, and judging from the artistic excellence of the samples exhibited, this new aspirant for public favour ought to secure a goodly share. The studio was known as the Crown Studio. 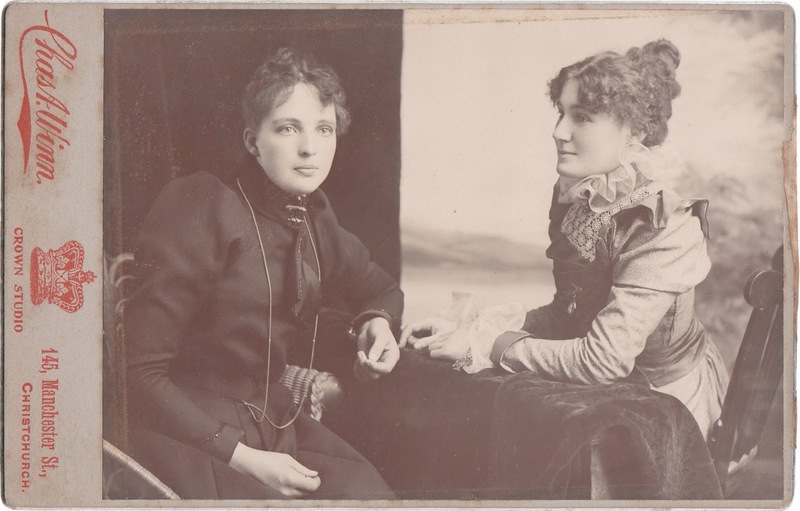 a cabinet card by The Crown Studio giving the address as 145 Manchester Street, Christchurch. 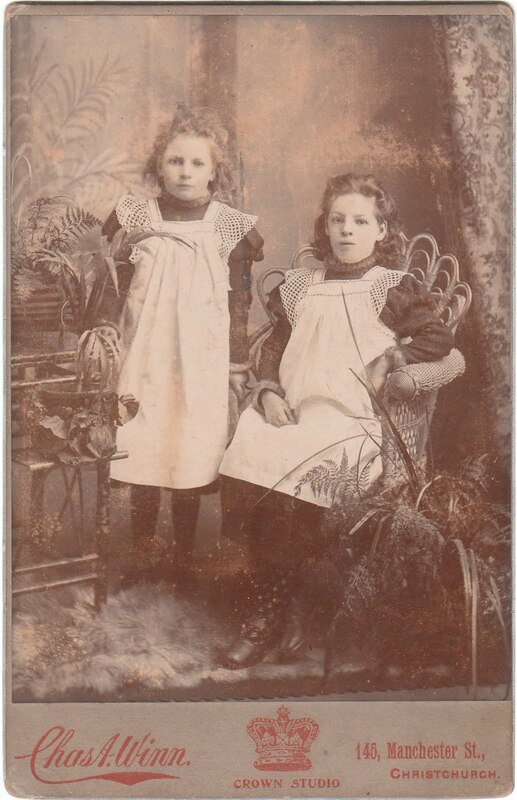 a photograph by The Crown Studio, Christchurch, however it is not known if this is the same studio operated by Charles Winn. 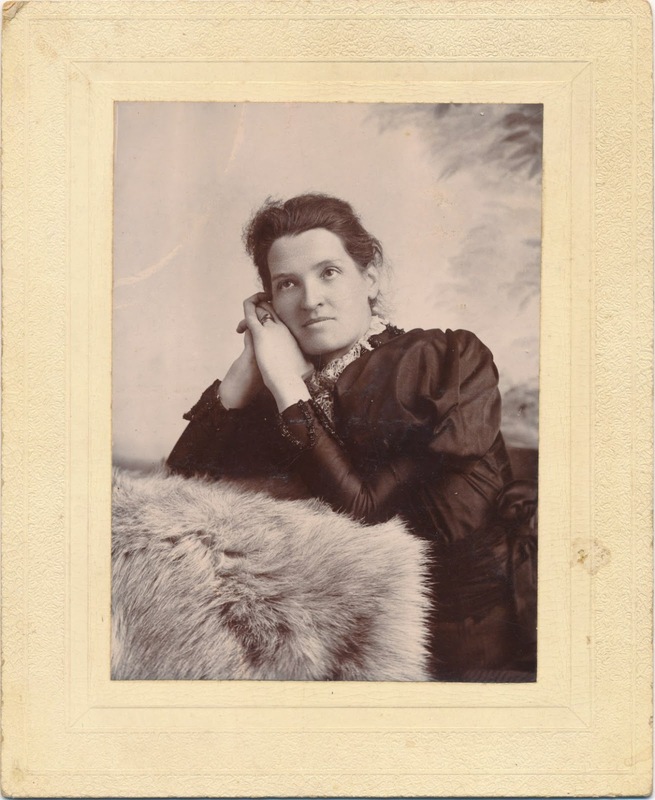 By October 1901 the studio appears to have been taken over by a photographer named Robert Edward McCourt who advertised upstairs rooms to let at 145 Manchester Street. In January 1901 he was appointed the Manager of Bunting's Studio in Manchester Street, Feilding. He continued in Feilding until June 1903. 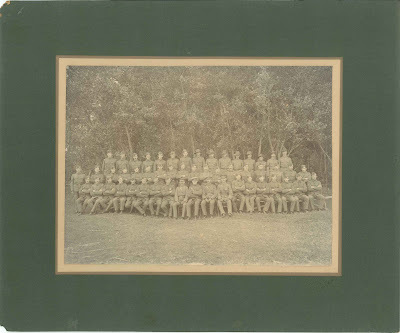 The following year he is shown at Temuka, in 1907 his studio was one of four buildings destroyed by a fire. This building he leased from Mrs C. Hornbrook. 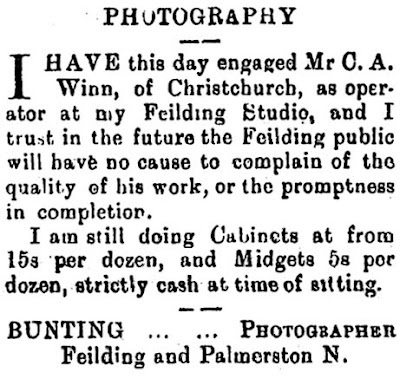 Mr Winn, who has taken over the business recently carried on by Mr McGuire, photographer, of Temuka, announces in another column that a dozen cabinet-size photos, can be procured for 12s 6d. The work turned out by Mr Winn is of a high class, and he is in consequence meeting with encouraging support in his business. Temuka Leader, Issue 4062, 13 June 1903, page 2. ... Bates' Buildings ... The southern shop is occupied by Mr Winn, photographer, and has also a frontage of 15 feet, the walls being 12 feet high and running back 65 feet. The front portion of the building is devoted to the show room, and fitted with large plate-glass windows, at the back of which are sliding kauri sashes, glazed with Muranese glass. All the walls arc match-lined, and painted cream colour. The room is fitted with counter and stands to display specimens of the artistic work done on the premises. A 4ft hall leads to the photographic studio, but between this room and the shop are dressing-room, dark-room, and work-room. The photographic studio is a large room 30ft by 15ft, fitted up in the most modern style. and is beautifully lit with large skylight reaching from the ridge to within two feet of the floor on the south side, The floor is covered with linoleum of neat pattern, the furnishings are appropriate and handsome, and the room presents quite a luxurious appearance. The New Zealand Post Office Directory (Wise's) for 1898-99, 1900 and 1901. The New Zealand Post Office Directory (Wise's) for 1904, 1905, 1906, 1907, 1908, 1909 and 1910. An inquest was held at the Mitre Hotel, Lyttelton, yesterday, before Mr R. Beetham, coroner, and a jury, of whom Mr J. T. Gifford was chosen foreman, to inquire into the facts surrounding the death of Daniel Kearney, who died on board the steamer Wakatu on the passage from Port Robinson to Lyttelton on Wednesday. The evidence was to the effect that the deceased, who had been engaged upon the road works at Cheviot, was taken ill on Tuesday, and had to cease work. He was given a dose of "pain-killer" by one of his mates, but getting no better, was put on board the steamer to be brought to the hospital for treatment. During Wednesday afternoon he died. Dr T. O. Guthrie deposed to conducting a postmortem examination and found that death had resulted from stoppage of the bowels. The jury returned a verdict accordingly, and added a rider expressing the opinion that the Government should provide a medicine chest under the charge of some competent person at the works. 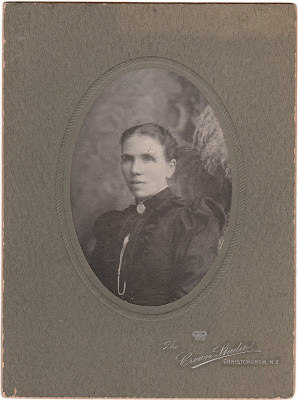 Elizabeth Ann Raddon nee Jackson born 9 September 1860, died 3 September 1937 at her residence, 37 Sullivan Avenue, Opawa, Christchurch with her children Kenneth Hugh Hunter Raddon, 1885-1963 and Kathleen Elizabeth Hocking Raddon, 1892-1977 (married 1stly James Arthur Taylor, second Henry Sweney).